Storing an Emergency Survival Kit in your home is an essential part of preparing your family to shelter-in-place following a disaster. Assembling a survival kit can be daunting so we have simplified the process by packing the basic supplies a family of two will need to survive an emergency into an easy-to-store 5-gallon bucket. Many people fail to realize that store-bought items such as canned food and bottled water may not store safely for longer than one year, especially when stored in environments subjected to extreme temperature fluctuations i.e. a garage or vehicle. 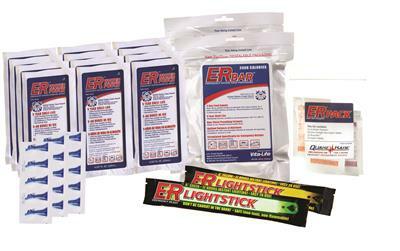 Reference blog post “Maintaining Emergency Rations” in the ER™ Preparedness Blog for more information. 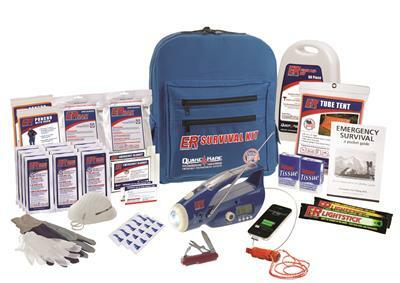 ER™ Survival Kits are designed by emergency preparedness experts to contain the most critical supplies needed during the aftermath of a major disaster. The Deluxe kit includes a 72-hour supply of food and water for up to two people. 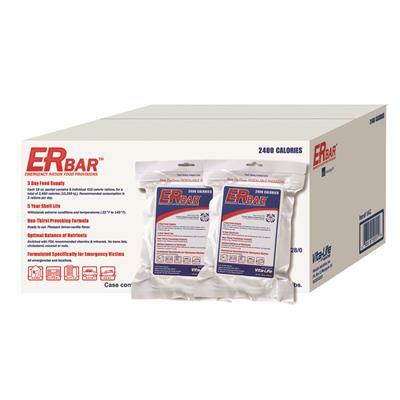 The ER™ 2400 Calorie Food Bars and ER™ Water Pouches are certified by the U.S. Coast Guard to store safely for up to 5-years even when exposed to extreme temperatures (-22°F to 149°F, -6°C to 65°C). 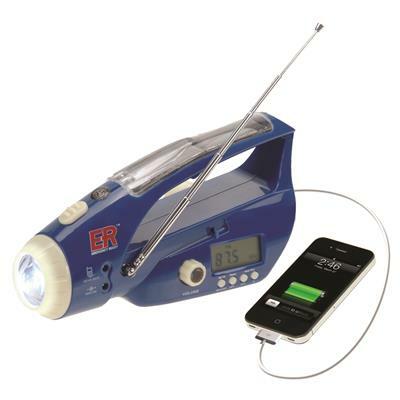 The kit also comes equipped with an AM/FM Compact Radio, Dynamo Hand-Crank Flashlight and other essential items needed to shelter from the elements, perform basic first aid or purify contaminated water. Following a catastrophic disaster in your area, you could find yourself in desperate need of basic necessities such as food, water, shelter or medical supplies. In a worst-case scenario electricity may be out for weeks, water treatment plants could stop producing potable water or your home may suffer structural damage leaving you exposed to the elements. You or loved ones may suffer injuries and need immediate medical treatment at a time when there might not be medical professionals available. The key to survival is self-sufficiency. Paramedics or disaster relief organizations such as the Red Cross may not be able to administer aid for several days or more. The more prepared your family is in advance of a major disaster, the better your odds are of surviving it. Think of preparedness as an insurance plan for your family’s survival. 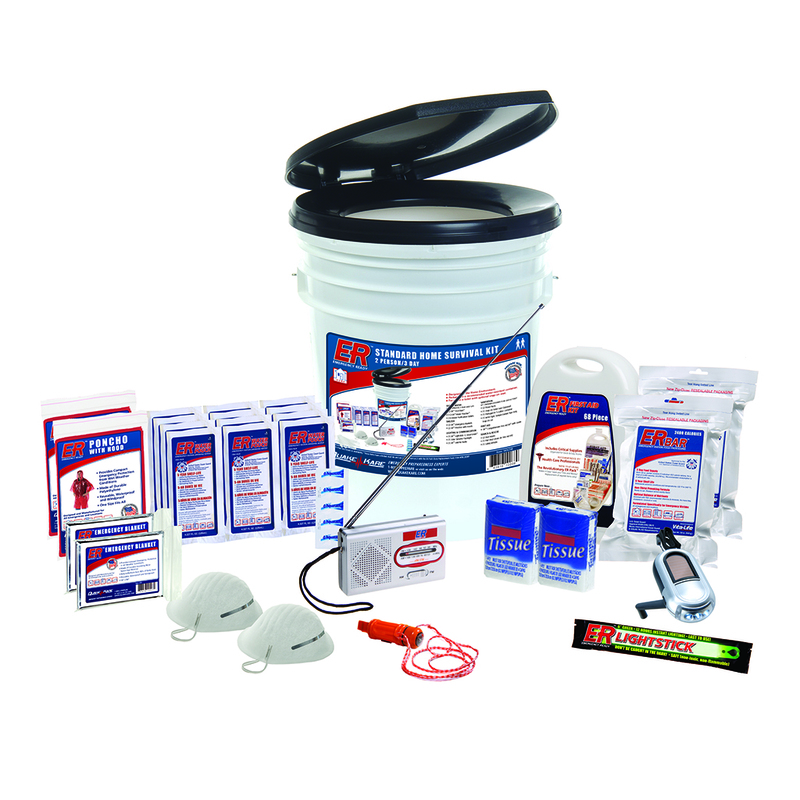 A 2-person, 72-hour basic survival kit packaged in a 5-gallon water-resistant bucket container with snap-on toilet seat. Ideal for a family of two. 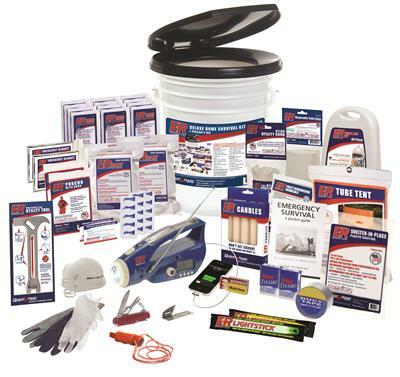 This kit is a more basic version of our Ultimate Deluxe Home Survival Kit. 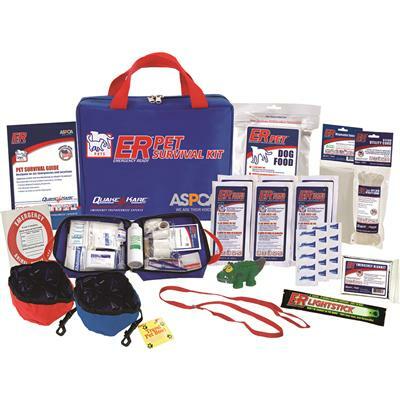 It contains the most necessary survival items needed to shelter-in-place in your home following a disastrous event such as an earthquake, hurricane or tornado. The kit contains 2400 Calorie Food Bars and water pouches to provide 72-hours of nourishment for up to 2 people. The food bars can be crumbled and mixed with water for young children. 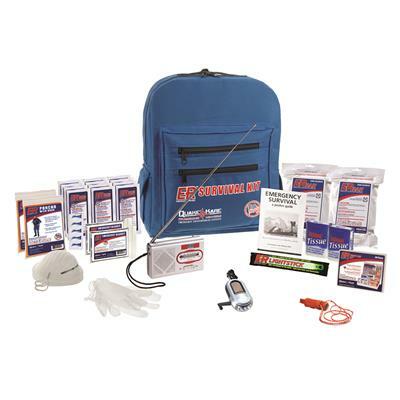 In addition, the kit includes ponchos and thermal blankets for inclement weather, first aid supplies, a dynamo powered mini flashlight, battery operated AM/FM radio, and other crucial items to help your family survive any unexpected disaster. The food bars and water pouches are certified by the U.S. Coast Guard to store safely for up to 5-years even when exposed to extreme temperature fluctuations ensuring this kit can store safely inside your house or outside in a garage or shed. 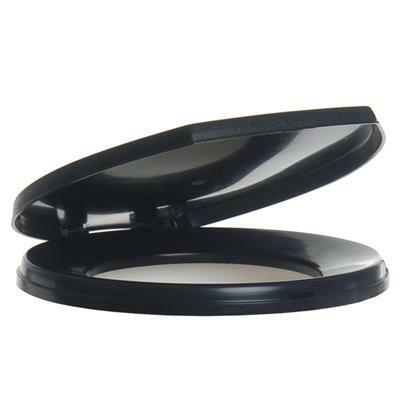 The bucket container can be used to collect water or as a portable toilet with the included snap-on toilet seat.